This course offers the choice of the Supervisor Fatigue Program or the Driver Fatigue Program. Employee fatigue is a cause and contributor to on-the-job accidents, lost time and lowered productivity. When your managers and employees are fatigued, they cost you money and time. This course is designed to assist drivers and supervisors to better understand fatigue and it's dangers. 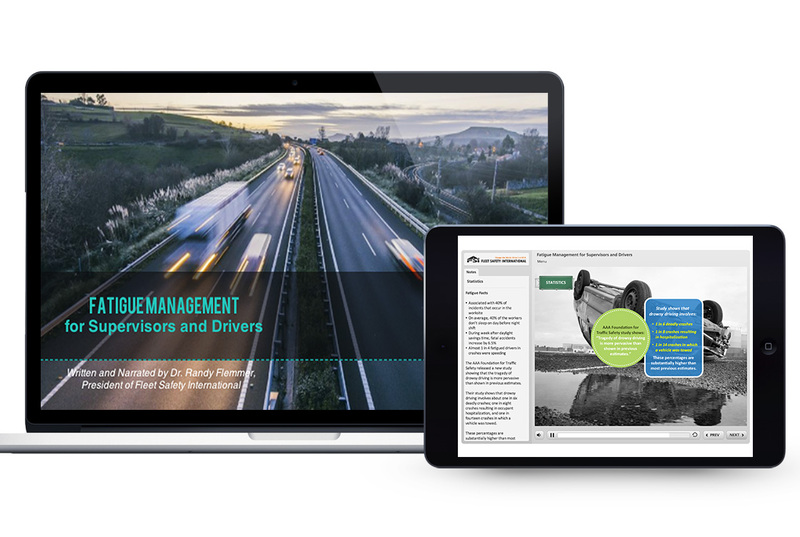 This course is aimed at driving and drivers, it is also an effective informational tool for all levels of your organization. Certificate of Completion: Upon successful completion of this online course, a certificate of completion will be available for download and printing.